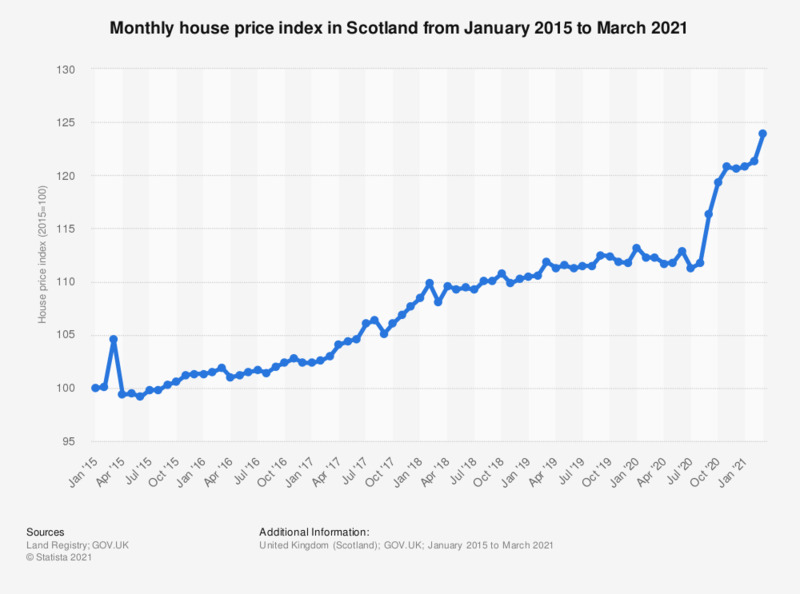 This statistic shows the monthly house price index in Scotland from January 2015 to December 2018. It can be seen that the house price index value increased overall with some fluctuation during this period from January 2015 where the house price index was set at 100, reaching over 110 index points as of December 2018. The highest house price index score in Scotland was seen in October 2018 and reached over 111 index points.